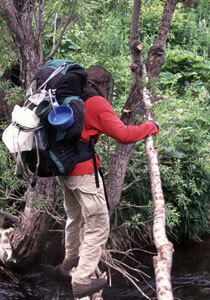 There are about 82 species of mosquitoes in Canada and over 2,500 species throughout the world. The entire cycle from egg to adult of some Canadian species can take less than 10 days, with optimal water temperatures. 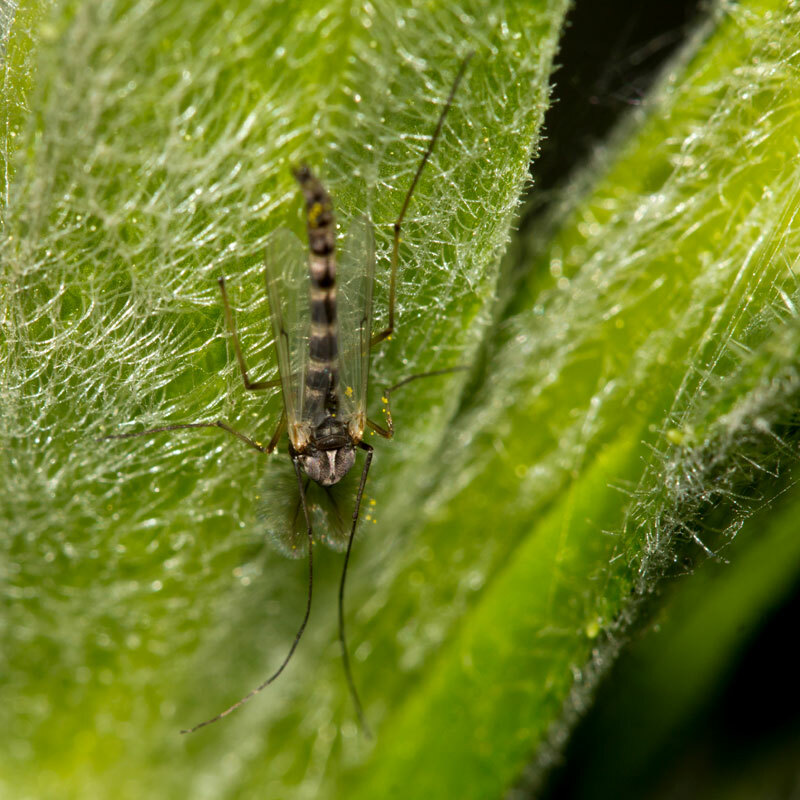 Male mosquitoes cannot bite and both sexes of mosquitoes use their long proboscis to feed on the nectar of flowers or other sugar sources like honeydew. According to the World Health Organization (WHO), the present known mosquito-borne viruses in Canada are West Nile and St. Louis encephalitis. When outdoors, wear long sleeves and pants, especially during dawn and dusk, and use insect repellants with up to 35 percent DEET for adults and 20 percent for children over six months of age. Mosquito habitat varies for each species and can include natural areas such as rain puddles and ponds, decomposing material such as wet leaf matter, ditches and marshes. While healthy wetlands are habitat for mosquitoes, they are also home to mosquito predators and can reduce flooding, which would cause further habitat for mosquitoes. Also, some species of mosquitoes can fly far from their breeding sites, making prevention difficult. However, certain mosquitoes are considered domestic species because they breed around the home in small, artificial containers such as bird baths and eaves troughs. Only female mosquitoes bite humans and other animals for blood to nourish their eggs. 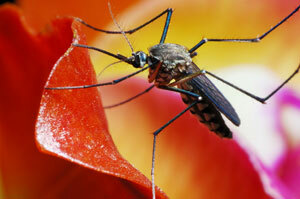 Male mosquitoes do not require blood. Many animals including stickleback fish, dragonflies, bats and several species of birds eat mosquitoes as part of their regular diet. 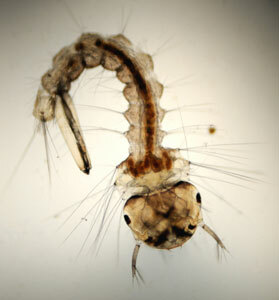 There are thought to be 82 species of mosquitoes in Canada and over 2,500 species in the world. 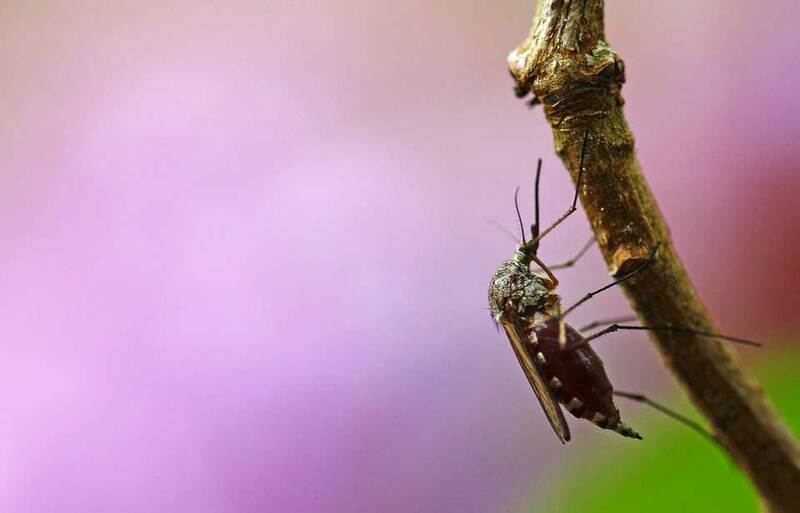 There are 10 main groups in Canada but only five of them have members that are significant pests of humans: Anopheles, Culex, Aedes (including Ochlerotatus), Mansonia (Coquillettidia) and a few species of Culiseta. Female mosquitoes of most species need to feed on blood to develop eggs. Depending on the species, the source can be a warm or cold-blooded animal. 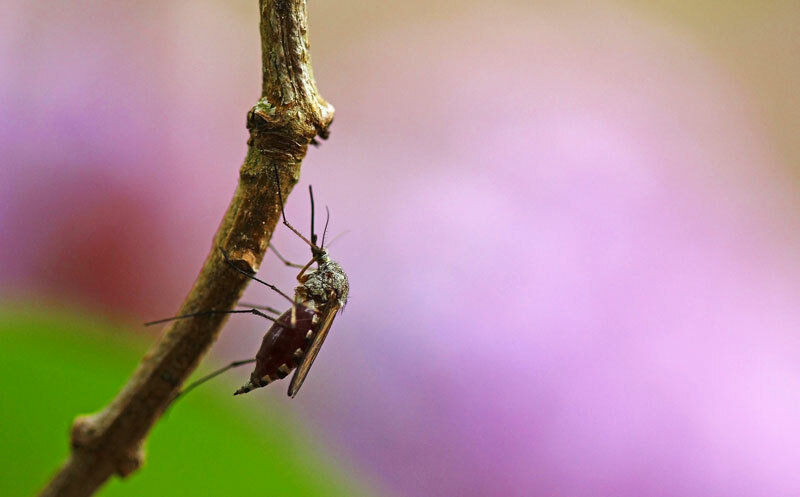 Male mosquitoes cannot bite and both sexes of mosquitoes use their long proboscis to feed on the nectar of flowers or other sugar sources like honeydew. Humans have come to think of the mosquito as a blood-thirsty pest, but their primary source of nourishment is sugar. Some species of mosquito, like the common house mosquito, Culex pipiens, lay their eggs on the surface of fresh or stagnant water. Eggs can be laid anywhere that water remains stagnant — in cans, discarded tires, bird baths, ditches or puddles, although mosquitoes prefer water surfaces protected from wind. It doesn’t take a lot of water as some mosquitoes can breed in as little as one centimetre of standing water. Culex mosquitoes usually lay their eggs at night and they stick together due to a special sculpture on the sides of the eggs that form a raft approximately 64 millimetres long and 38 millimetres wide. The raft can contain anywhere from 100 to 300 eggs and looks like a flake of soot floating on the water surface. Anopheles species lay their eggs singly on the water surface. 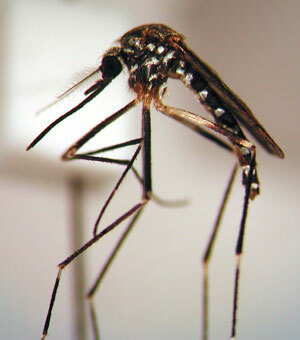 Aedes mosquitoes also lay their eggs singly, and most species select damp soil. Aedes eggs are more resistant to drying out than those of other genera and some require low temperatures before the eggs will hatch. Others hatch only when flooded with water above a critical temperature. All mosquitoes need water to develop. The larvae resemble little wiggling worms, hence the nickname ‘wigglers.’ At this stage they have no legs or wings. All stages breathe air. They float at the surface of the water and breathe through an air tube at their tail end. They dive down to feed or evade capture. With optimal conditions, they grow very quickly in the larval stage, moulting four times over the next few days, until they become pupae. Mosquito pupae are also known as ‘tumblers.’ They are comma shaped and will acrobatically somersault when disturbed. 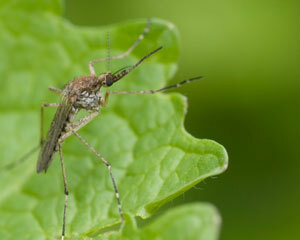 At this stage the adult mosquitoes are metamorphosing and are growing wings and legs. Like larvae, pupae breathe at the surface but they use two tubes on their backs. When they have completed metamorphosis, the adults break through the pupal skin and emerge on the surface of the water. 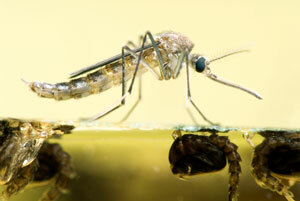 Adult mosquitoes rest on the surface until they can fly and then the search for food begins. The entire cycle from egg to adult can take less than 10 days to complete, depending on the temperature. A female mosquito can live for much of the summer depending on the weather and shelter, and if she lives long enough to feed on blood more than once, she has the potential to transmit blood-borne diseases. Most Aedes species in Canada survive the winter as dormant, fertilized eggs, but in Culex, Culiseta and Anopheles species, the fertilized females survive the winter in sheltered places such as caves, animal burrows, cellars and sewers. At present, the most effective way to combat the spread of these viruses in humans is to avoid mosquito bites. Eliminating suitable breeding habitats such as standing water from around your home will prevent mosquitoes from developing near by. Putting up screens and stopping mosquitoes from entering your home is the most effective way to prevent direct exposure indoors. When outdoors, wear long sleeves and pants, especially during dawn and dusk, and use insect repellants with up to 35 percent DEET for adults and 20 percent for children over six months of age. Stephen Higgs. Vector-Borne and Zoonotic Diseases. June 1, 2005, 5(2): 93-94. doi:10.1089/vbz.2005.5.93. © Her Majesty the Queen in Right of Canada, represented by the Minister of the Environment, 2008. All rights reserved.